Some of the features of Xiaomi Poco F1 include a flagship Snapdragon 845 SoC, dual rear cameras, a notched display, and IR Face unlock feature. New Delhi: Flipkart and Xiaomi have come up with ‘Mi Days’ sale which will begin from Monday night at 12 AM and go on till January 30. Customers are entitled to various benefits including flat Rs 4,000 off, zero EMI charge and exchange discounts. 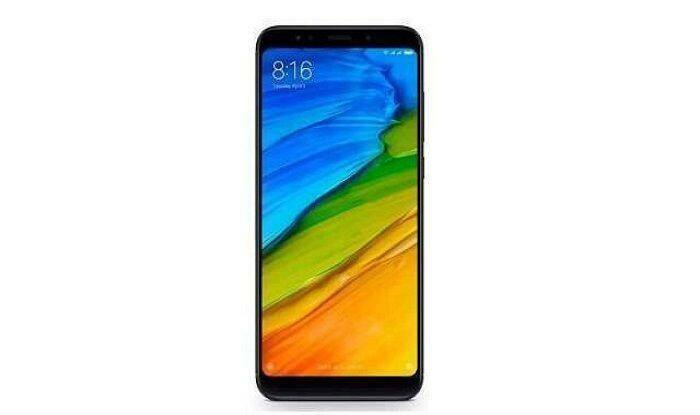 Meanwhile, Xiaomi is set to launch its new Redmi Note 7 in the country soon. During the Mi Days sale, Xiaomi’s Redmi 6 smartphone is sold at flat Rs 500 off. The smartphone has a full-screen display, dual cameras at the back, and a 12nm MediaTek Helio P22 octa-core SoC. The base model is now available at Rs 7,999. It has a capacity of 3GB RAM and 32GB storage. The higher model is available for Rs 8,999 and comes with 3GB RAM and 64GB storage. The base variant can be purchased at Rs 7,499 and the higher model at Rs 8,499. Moreover, customers can exchange their used smartphone for a new Redmi 6 and avail up to Rs 8,500 off. The base model of Redmi Note 5 Pro comes with 4GB RAM and 64GB storage. The price of the base model is Rs 12,999. However, it will be available for Rs 10,999 during the Mi Days sale. The top end model that comes with 6GB RAM and 64GB is priced at Rs 13,999. During the special sale, the higher model can be bought for Rs 12,999. In addition, the Redmi Note 5 Pro model carries no cost EMI options and an exchange discount of up to Rs 12,600. The Redmi Note 6 Pro has dual front and rear cameras, P2i coating for water resistance, and 4,000mAh battery. The base model which is currently available for Rs 13,999 (4GB RAM + 64GB) will be available for Rs 12,999. The top-end model which is priced at Rs 15,999 (6GB RAM + 64GB), will be available for Rs 14,999 during the Mi Days Sale. In addition, Flipkart will offer exchange discounts and no cost EMI options. The recently launched Poco F1 comes at a starting price of Rs 20,999. This sub-brand of Xiaomi recently got a permanent discount of Rs 1,000 and the smartphone is expected to announce a further discount during the Mi Days sale. The base model will now be available for just Rs 18,999 (6GB RAM + 64GB). During the sale, the 6GB RAM + 128GB RAM model will be available for Rs 21,999, and the 8GB RAM + 256GB storage model will be available for Rs 25,999. Some of the features of the smartphone include a flagship Snapdragon 845 SoC, dual rear cameras, a notched display, and IR Face unlock feature. Xiaomi plans to sell the older generation Redmi phones during the Mi Days Sale in what appears to be a stock clearance sale.